A First Tuesday Film Club selection playing at The Lake Theatre on Tuesday, October 2nd at 10am, noon, and 7pm. Admission: senior/matinee $6 and $8.50 evening. 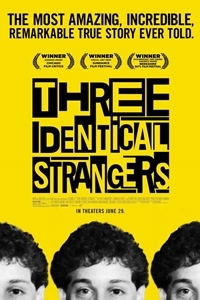 Presented by First Wednesday Film Club on Wednesday, October 3rd at 1pm and 7pm at Charlestowne 18. Admission: $6 matinee/seniors and $8 evening. Presented by Art @ York at the York Theatre on Wednesday, October 10th at 1pm & 7pm. Admission: $6.50 matinee/senior and $9 evening. A Second Monday Film Club selection playing at the Woodstock Theatre on Monday, October 15th at 1pm and 7pm. Admission: $6 matinee / $8 evening.